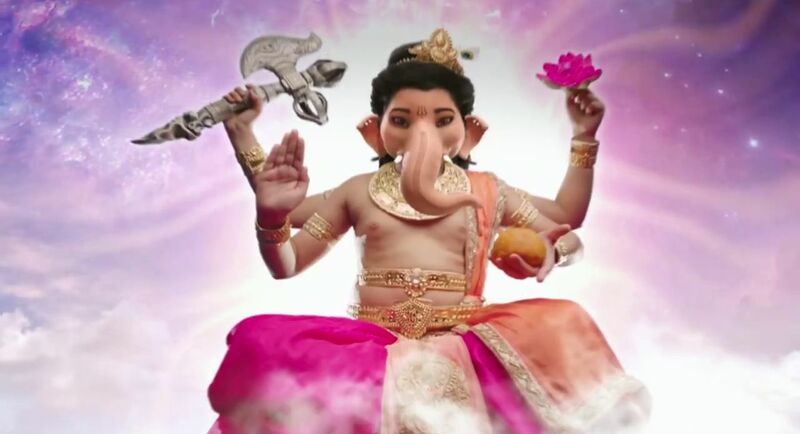 Vighnaharta Ganesha, Popular hindi serial on sony entertainment television will very soon speak malayalam as maha ganapathy. surya tv started showing the promos of the same, launch date and telecast time etc not finalized yet. surya tv currently showing dubbed items in prime time mahaveera hanuman, naagakanyaka 2, shaneeswaran etc. they are getting decent ratings for all these dubbed items. as per latest barc ratings surya tv is steady at second positions, they improved total grp points. Vighnaharta Ganesha already crossed more than 150 episodes and getting good trp ratings. Tamil dubbed version of Vighnaharta Ganesha started on sun tv as Vinayagar, 9th october 2017. Sun network planning to bring the same on gemini tv and surya tv. Abhimanyu Singh is the producer of this big budget mythological tv series under the banner Contiloe Picture Pvt Ltd. This devotional serial telling untold stories of lord ganesh, Uzair Basar playing the role of ganesh. Vaalsalyam, Mahaveera Hanuman, Ennu Swantham Jaani, Nagakanyaka – 2, Shaneeswaran, Nandini, Ayalathe Sundari, Premam are the present serials on surya tv. we can expect some changes in surya tv schedule, we will soon update about launch date and telecast time of maha ganapathy tv serial. Uzair Basar is playing the role of Lord Ganesha in the malayalam dubbed version of Vighnaharta Ganesha. Basant Bhatt – As Kartikeya is another major character in thid hindi devotional serial.